Red dirt. Hot, sticky air. Children laughing. Chai brewing. Tumaini Orphanage is alive with the happiness of their 52 orphaned children and the volunteers were just as excited to be part of this unique opportunity. 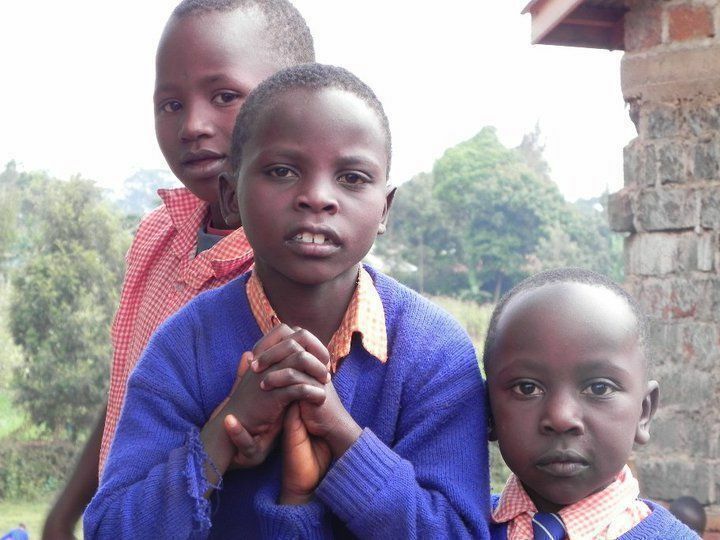 Tumaini provides a permanent house and family for children orphaned in Nairobi, Kenya. Eunice Kariuki has built up the orphanage from its organizational base in Denver, CO. My family and I visited for the first time to see the children who we had only seen pictures of. We stayed at Tumaini’s guest houses and traveled a short drive to the childrens’ house. It was during the school hours one day that Eunice decided to take us “sightseeing.” We drove over the ruts and potholes to the government run orphanage, split into two divisions. The first thing we saw was a looming sign, “NO PHOTOS.” No photos of beautiful, sweet children? Something felt wrong. The building for the younger children (infant to 7 years) was dilapidated, covered in dirt, and groaning on its foundations. There was no laughter, no toys strewn about, no smell of a lunch time meal. We walked through the eerie silence into the building and out to the back yard. We finally saw what the orphanage had been hiding from the tourists. Over 70 children and 3 adults stood in the yard. The adults looked bored, haggered, and tired, while the children roughly played with each other. Trying desperately to communicate with a child, I asked a caretaker what his name was. The response was a shrug of the caretaker’s shoulder. Children are nameless here. The most poignant thing I noticed was the lack of shoes. None of the children had an adequate pair of shoes on their feet and this was so distrubing. The yard was not exactly clean…of course children would be catching diseases and infections when their sensitive feet were susceptible to the harsh ground. We rounded up the little children to send them inside for their meal, tasteless porridge. While ushinging children through wind worn doors, I noticed a little boy lying on the ground. I picked him up and his foot was gushing blood and the blood, mingled with the red dirt, made me sick. I called for an “auntie” to help him but she roughly told the little boy off in KiSwahili and shoved him through the doors. We learned after our trip that the little boy had died a few weeks afterwards. We all know orphanage is a problem in 3rd world nations, but the lack of shoes is too. It is a physical representation of the overwhelming poverty that consumes children in Kenya.